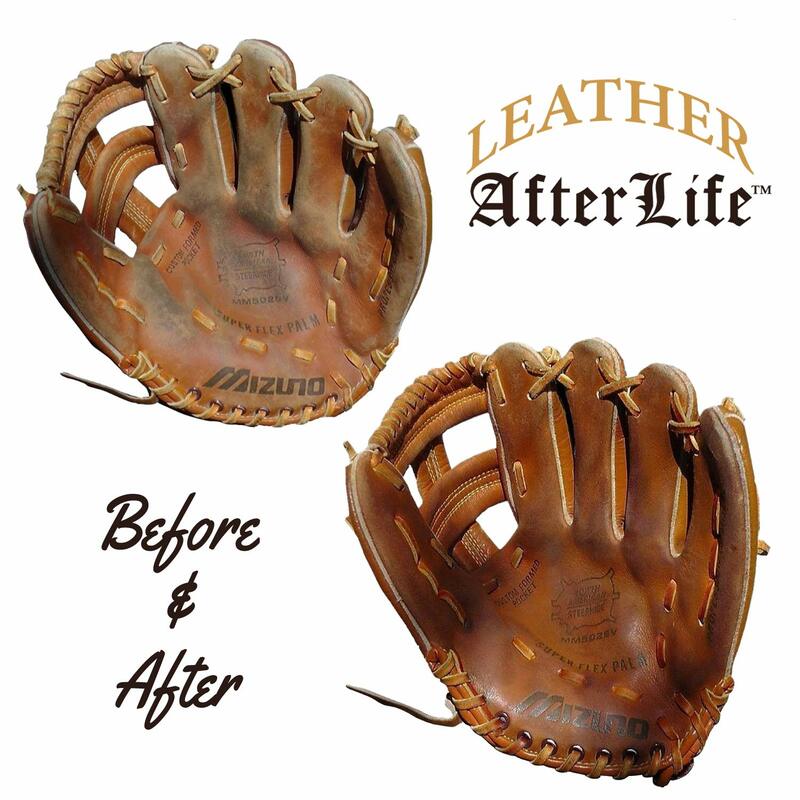 Leather Afterlife will bring your leather goods back to life and ensure that all of your new items stay vibrant and alive. 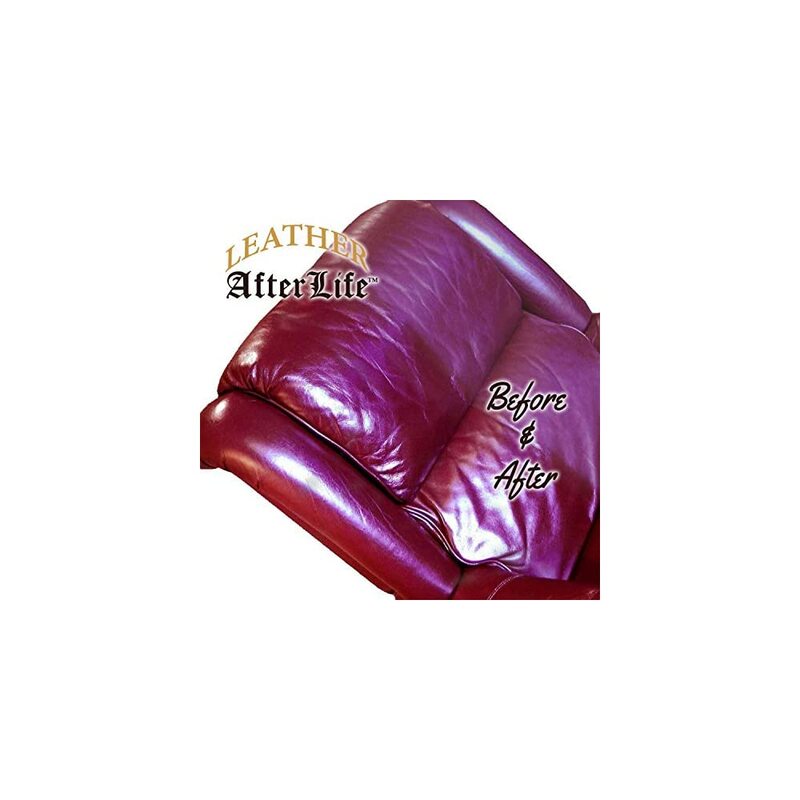 Leather Afterlife is the number one choice of leather artisans and craftsman who want to ensure that their leather items receive the best care possible and last for years to come. 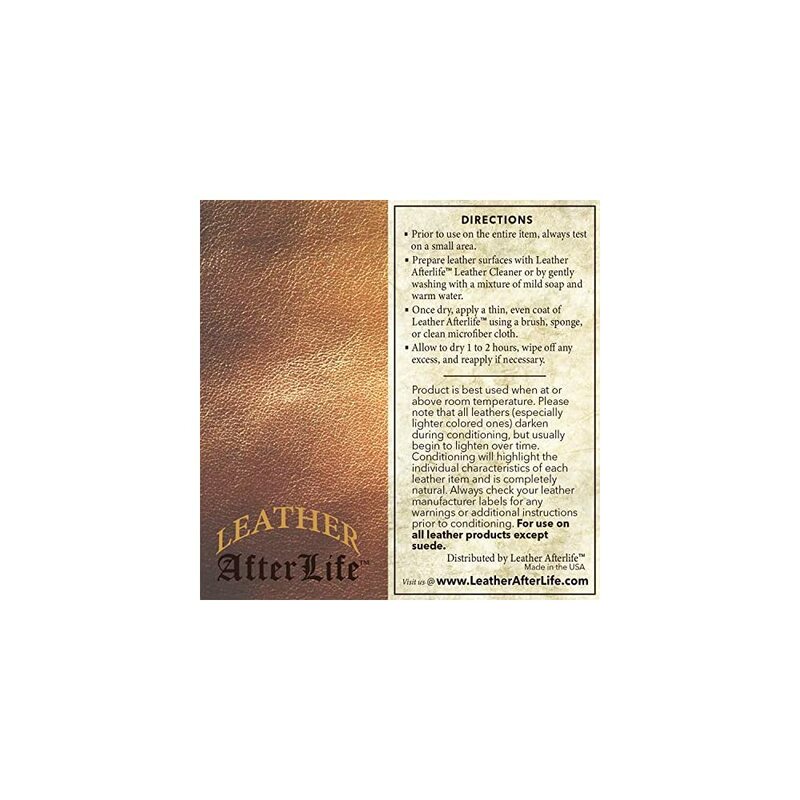 Now that Leather Afterlife is available commercially, everyone can benefit from its time tested and time proven capabilities. 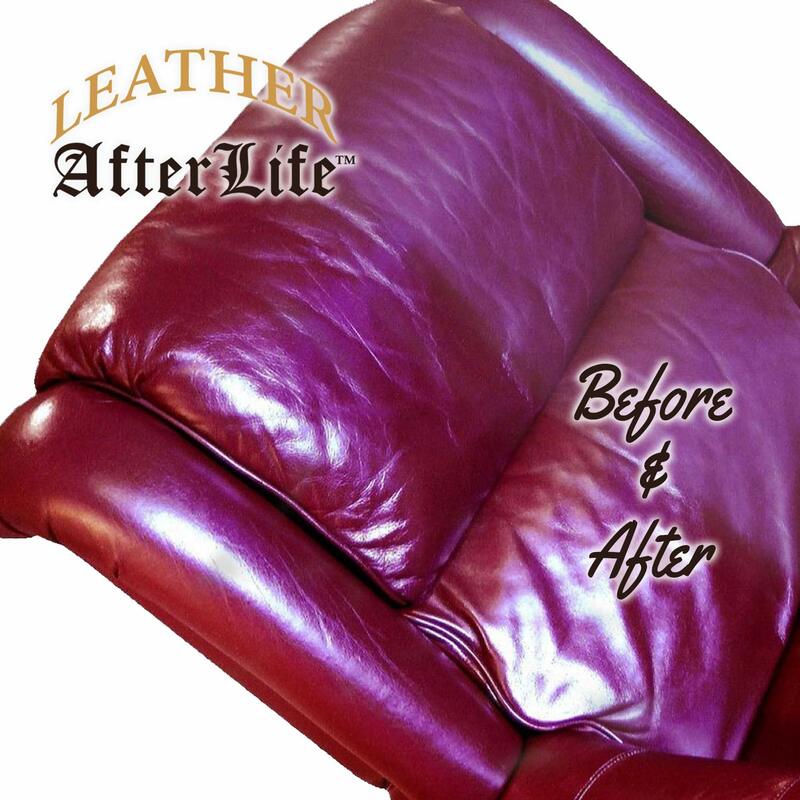 100% Satisfaction Guarantee with our no questions asked refund policy. 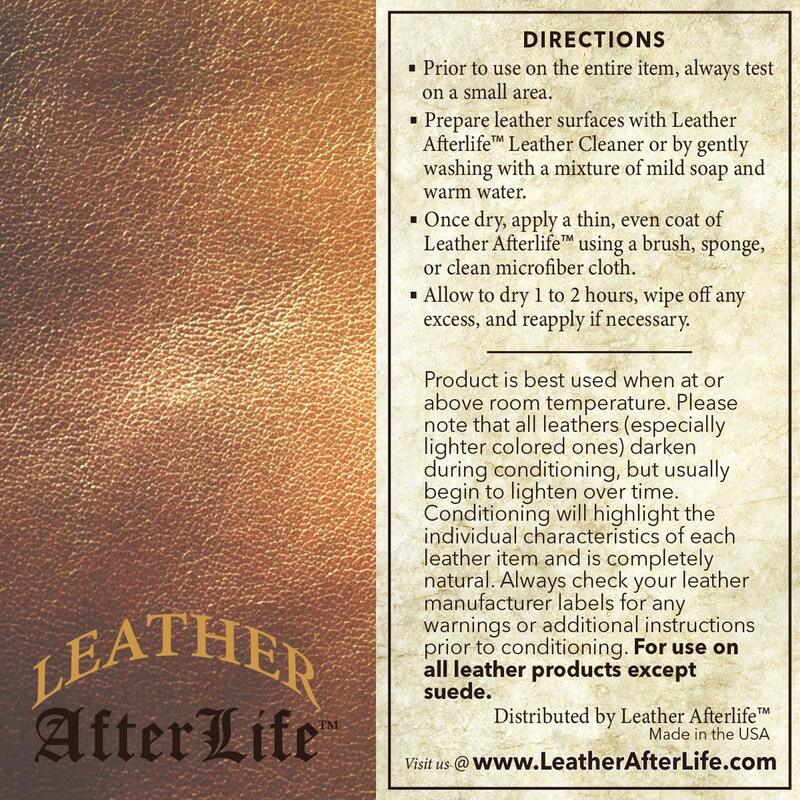 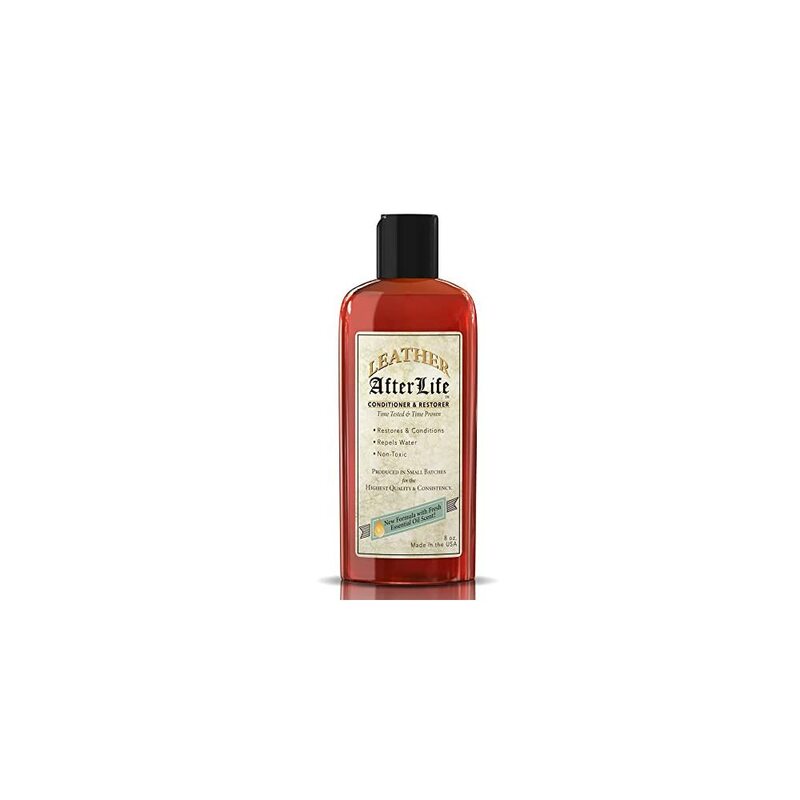 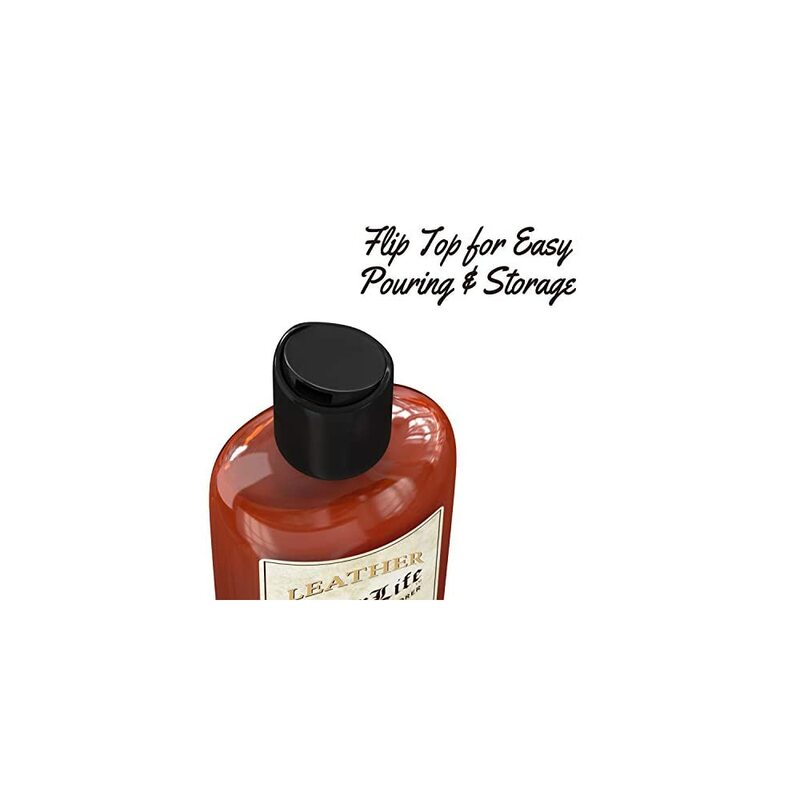 Prior to use on any leather item or coated leather, always check manufacturer labels for any additional instructions. 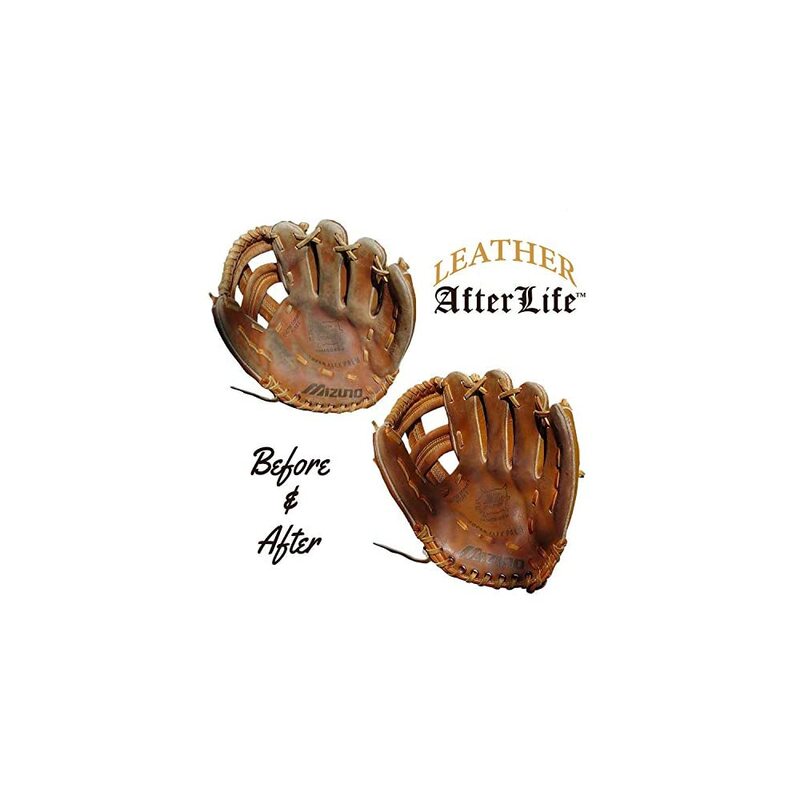 Protect your investment and bring all of your treasured leather items back to life by ordering today! 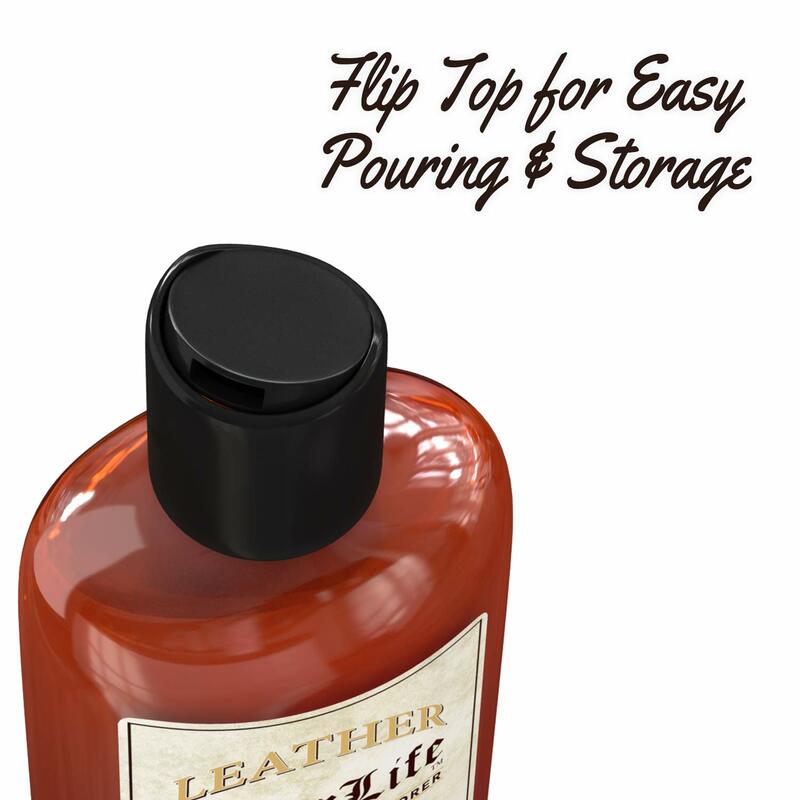 really wish i’d had this when the in-laws were restoring his dad’s wwII bomber jacket (lily marlene) this would have been nice to try before the pro restoration. 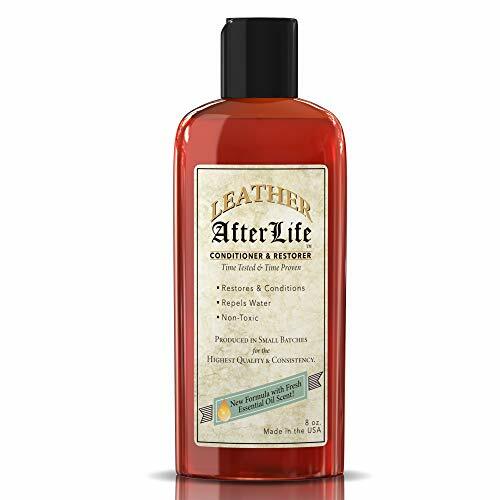 probably should get some as spouse is murder on jackets.